One of few favorite scenes from the 2002 Twentieth Century Fox film Brown Sugar consisted of Taye Diggs walking on the sidewalk and viewing a crew of young men forming a circle beat boxing and trading lyrical verses to see who is the dopest in lyrical dexterity. That particular scene was not the only thing that served a reminder of what was once hip-hop but also the scoring or song that accompanied the scene. The smoothness of horns and melody can make the soul cry- yearn for that classic hip-hop. “Make You Feel That Way” is the song’s title that brings great memories of one’s youth. Though, it took a while to find the name of the song and group who performed it. This was before Internet and YouTube became popular. By the time the information regarding the song and group was obtained, Blackalicious decided to disband. However, the disbanding was in efforts of pursuing solo ventures. A decade later and the group reunite to produce another classic to their rich discography. 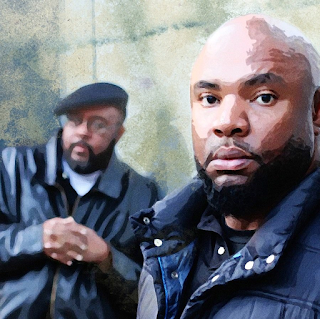 Hector De La Rosa of Consciousness Magazine sits down with producer Chief Xcel (1/2 of Blackalicious) to discuss the group’s latest opus to views on the current state of hip-hop. Hector De La Rosa: What has Blackalicious done since their ten year hiatus as a group? Chief Xcel: The group has been doing a lot since we last did an album together. We have been touring, creating, and building our brand. Gift of Gab and I have done numerous solo albums. I have done a side project with a group I formed called Burning House and have worked alongside with Ledisi. I got back together with Gab to record the Imani album in between pursuing my solo ventures. This album will be delivered in three installments. Hector: What is it like working with Ledisi? Chief Xcel: It is an amazing experience. She is an incredible artist. Hector: Where are the group members at in their lives and careers at this very moment? Chief Xcel: We have matured. We are grown men. We came into the music scene during our high school and into our college years and are now at the Ph.D. post graduate level of our creativity. Hector: Where did the group name Blackalicious derived from? Chief Xcel: We had a bunch of names for our group. We decided late 1988 into early 1989 to stop changing the group name and stick to one. 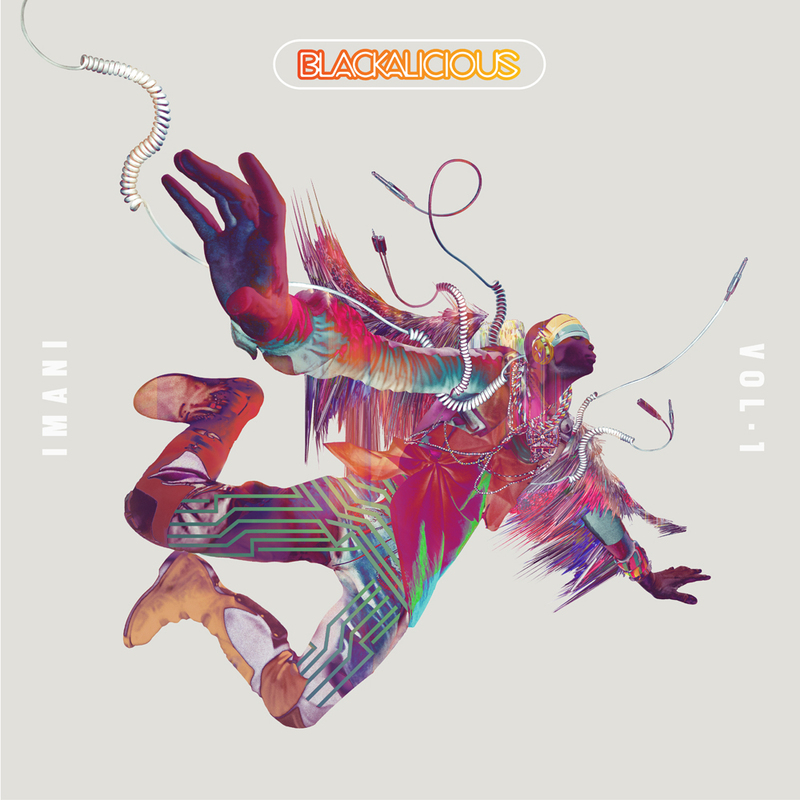 Therefore, we decided to stick with Blackalicious because it signified us delivering good black music. Hector: Where did you both meet and what made the both form a hip-hop duo? Chief Xcel: We met in high school in 1987. I moved to Sacramento from the Bay Area. I had a home economics class with Gab. He would sit from behind me and argued over which emcee was dope: Ice-T or Too Short. [Xcel chuckles] One day during math class, one of my guys who I deejayed with would get DJ Red Alert and Mr. Magic cassette tapes and played them for us. They were mind-blowing. We build off the strength of loving the same genre of music. At the same time, I was deejaying for this individual named Homicide. He tells me I have to meet his friend. I never knew Homicide was talking about the same individual that sat behind me in home economics class. I brought it up to Homicide that I already knew Gab when he introduced us. We originally were to form a three man crew. However, Homicide left for school and did not hear from him. One day, Gab called me in need of my services as a deejay. From there, we became a duo! Hector: So who won the battle? Ice-T or Too Short? Chief Xcel: [Xcel laughs] They both did! Hector: Describe the signature Blackalicious sound. Chief Xcel: It is classic timeless hip-hop. That is what we as a collective strive to create. Hector: How is Blackalicious different from other hip-hop groups? Chief Xcel: The difference between us and other groups is that Blackalicious consist of us Tim and Xavier. Nobody can be or do us. We stay true to us. Hector: How did the classic single “Make You Feel That Way” form? Chief Xcel: The song formed in a garage in Houston while on tour with KRS-One. My buddy and I see an individual with a garage open as we headed to the tour bus. The individual had rare Texas gospel records for sale. The record sample I used for ‘Make You Feel That Way’ came from that garage. I was able to filter most of the synths as I chopped the record. The song was a multi-layered process to produce. Hector: Did the group know that “Make You Feel That Way” was going to be a classic? Chief Xcel: No, I did not know. Hector: Where did the title for the new album Imani derived from? Chief Xcel: Imani is Swahili for ‘faith.’ We live through each of our records. Most of our albums are like time capsules that ensnare our life experiences. This album captures our journey in life of the last three years. Gift of Gab experiences health problems regarding kidney failure and him being on a donor list. It is a blessing to see him at his lyrically and professionally best while going through trials. Gab’s determination inspires me to not give up and not let anything stop us from recording and performing as a group. Hector: How would the Imani album differ from the other two upcoming installments? Chief Xcel: Imani is the foundation of stories that serve the first part of a trilogy. I am not going to speak on the other two albums because the story is still being written. I want for the fans to form their interpretation and what the music means to them. Hector: What do you want the public to walk away with after listening to the Imani album? Chief Xcel: I want for them to know this is another great installment to the group’s musical legacy. The greatest feeling is for people to tell us because of our music it helped them get through the trials and tribulations of life. To me, it is the ultimate payment for the group. Hector: What are your expectations for the Imani album? Chief Xcel: It is for our music to continue to reach the masses. We hope they enjoy it. It is an album for people who love music [foremost] hip-hop. Hector: What are your thoughts about the current state of hip-hop? Chief Xcel: It has become so vast like a tree that sprouts many branches. It is not viewed as a homogenous genre. I like how technology helped elevate careers in hip-hop. Technology helps the masses find artists of eminence that pushes artistry to another level. Hip-hop is now accessible compared to the 1980s and 1990s where there were a few gatekeepers. I love hearing hip-hop acts like Detroit’s Clear Soul Forces to the success of Kendrick Lamar that brought lyricism back to formation. I am excited what technology has done for hip-hop and music in general. Hector: Why did the group prefer to go the conscious and independent route versus mainstream? Chief Xcel: We decided we were going to do music on our terms and focus on making quality music and have control over our brand. We do music that represents us. Hector: Who do you want to work with in the long run? Chief Xcel: This question is hard for me to answer because I am a fan of music and of many artists. I would like to work with musicians that pushed the envelope and have taken music to heights where they created on their own terms. The greatest aspect of being a producer is being able to tap into a musician’s creative energy and being able to see them in their creative element. Working with George Clinton, ?uestlove, to Gil Scott Heron taught me something. The list of people to work with is long. I love the works that D’Angelo, Erykah Badu, White Stripes, to Thom Yorke of Radiohead has done over the course of their careers.